Love the background, the nice contrast between the green body & flower and the way it all shows right through the lacy wing. The magnification is also well chosen. A very nice image, indeed! Last edited by cwdavis on Wed Apr 17, 2019 7:54 am, edited 1 time in total. 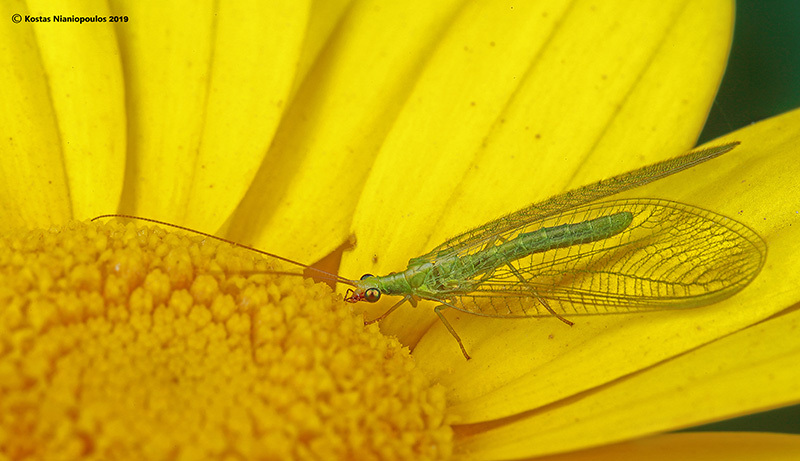 Nicely composed, the lacewing is striking.